This is a rare opportunity to enjoy a taste of high convenience plaza living in this increasingly desirable area. This project delivers quality and affordability in a range of 1, 2 & 3 bedroom apartments just minutes from Lake Macquarie. A four level design based on energy efficient living, the Belle Apartments is the opportunity to enjoy optimal residence. This is a rare opportunity to enjoy a taste of high convenience plaza living in this increasingly desirable area. Over 4 levels, The Belle Apartments have been created to perfectly meet the needs of modern living. Each of the apartments maximises the use of floor space with separate living, dining and bedroom areas with a designated media space in most apartments. Clever architectural design has resulted in free flowing open plan living by utilising operable wall systems between rooms. Secure residential car parking is provided in the basement below with most including storage lockers. Energy efficiency features such as motion sensor lighting and rainwater harvesting reduce costs and environmental impact, while lift access and secure lobbies ensure a safe and convenient standard of living. Belmont is one of several well-located towns on the edge of Lake Macquarie, an easy 1.5 hour drive north of Sydney. Located on the eastern shore of the lake, Belmont is surrounded by water with Belmont Lagoon and the Pacific Ocean close by. There are plenty of ways to enjoy the town’s relaxed lifestyle. At one of the local beaches such as Blacksmith, Redhead and Caves, you’ll discover great waves for keen surfers. On the placid waters of the lake, enjoy a day’s sailing, wind surfing or fishing. There are two major sailing clubs at Belmont, a championship golf course and plenty of parkland for picnics and cycling. 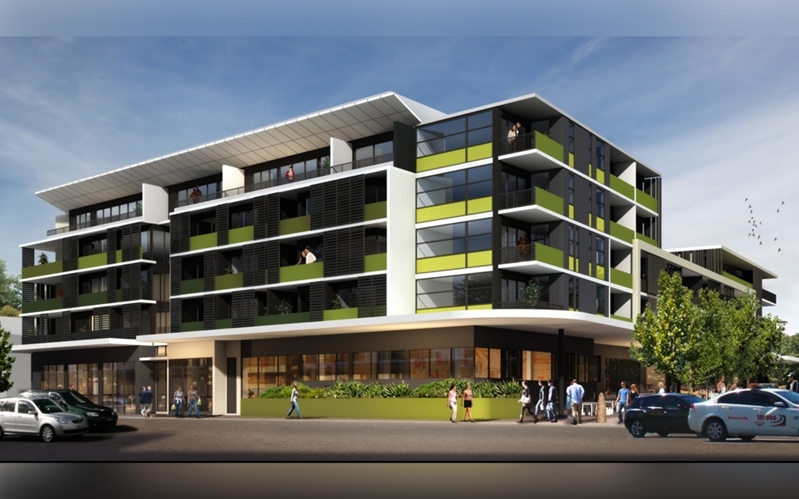 Centrally positioned on the plaza at the corner of Ernest and Macquarie Streets and the Pacific Highway, this striking development will blend plaza level retail with contemporary 1, 2 and 3 bedroom apartment living over four levels. With a mixture of town plaza, tree studded streets, distant mountains or lake views, each apartment has been designed with generous balconies to make the most of outdoor living. throughout summer, whilst creating a warm living space during winter.